Dumping someone over a text message? I was already rooting for our sensitive yet gutsy heroine Rayna Dutt and planning to kill Sid on the first page. Adite Banerjie has a knack of doing this very well – making a reader build relationships with the characters from the very beginning. All the characters feel so real, so believable with some gray shades apparent in them. Life-like. Whether it be gutsy-yet-an-emotional-wreck Rayna, Kind-yet-commitment-phobic Neel or the infuriating-yet-sweet Agra Aunty! Would love to hear the story behind AA’s name, Adite! Emerald Island took my breath away. So did the villas accompanying the Nirvana. The star-spangled sky and the silvery beaches, the orchids colouring up the white-and-gold wedding decor, the author has made the Andaman Islands come real in front of me. And to think she has never visited the island herself! She’s a hell of a researcher and a magician with her words. The thing that moved me most about the book though were the emotions packed in 187 pages. Never a dull moment in this book. Right from page 1 where Rayna has to run to catch her flight till the epilogue (especially the epilogue :D), I have been on a roller coaster ride of emotions. Sometimes laughing at the verbal sparring between Rayna and Neel, sometimes rolling on the floor at Agra aunty’s antics, sometimes with butterflies in my stomach as Neel touches Rayna so and sometimes my heart breaking along with Rayna’s, this book made me live a thousand emotions in a span of 4 hours. Yes, that’s how long it took me to read it from cover-to-cover! Me: Your books are always so well edited. Never a dull moment. How many revisions do you put your MS through? Me: How did you come up with such an interesting title for your book? Adite: The credit for the title goes to the Harlequin Team. We were throwing around words like Trouble, Paradise Island and Wedding but it all sounded so ho-hum. And then the Marketing Team suggested Trouble Has a New Name. And it was just perfect! Me: Which character did you have the most fun writing? Me: Are you planning to stick to the romance genre? Do you feel that since writing in this category is considered ‘mush’, it is looked down upon? Adite: I have two more books to finish for Harlequin — and both are M&Bs. So naturally they will be romance. I haven’t planned anything after that. As for romance being considered mush, that is sadly true…Frankly, I enjoy reading romances as much as any other genre. So I don’t feel any qualms about writing them. Me: Please tell us about your next writing project(s). Adite: I am currently working on Book 3, a romantic-thriller set in London, Delhi and Rajasthan. The working title is No Safe Zone. Book 4 will be another rom-com and in it I plan to tell the story of Chris and Milee (who have been introduced in Trouble Has a New Name). 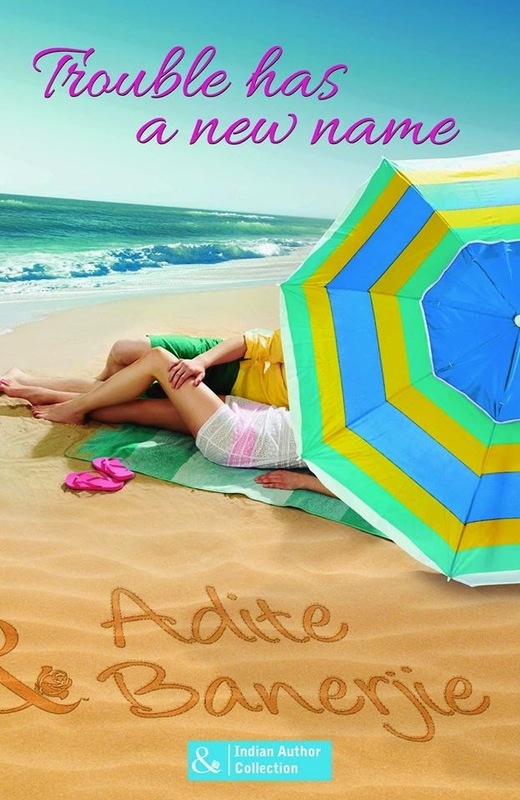 Thank you, Adite for answering my questions on such short notice for my readers. You’re a darling! ‘Trouble’ deserves no less than 5 stars! Check it out below and scroll to the bottom of the post to take part in a 10$ Amazon Gift Card giveaway! Enjoy! Adite Banerjie has been writing professionally ever since she graduated from college. After an exciting and fulfilling career as a business journalist, she turned to freelance writing, crunched numbers and wrote reports about consumer behavior and social development issues. Somewhere along the way she got on to the screenwriting bandwagon and wrote scripts for documentaries and spec screenplays for feature films. She was hired by a filmmaker to write a feature script based on a true story. When she penned her first romantic short story she won the 2012 Harlequin Passions Aspiring Authors Contest. Two of her books, The Indian Tycoon’s Marriage Deal and Trouble Has a New Name have been published by Harlequin India. And she is currently under contract to write two more for the same publisher. 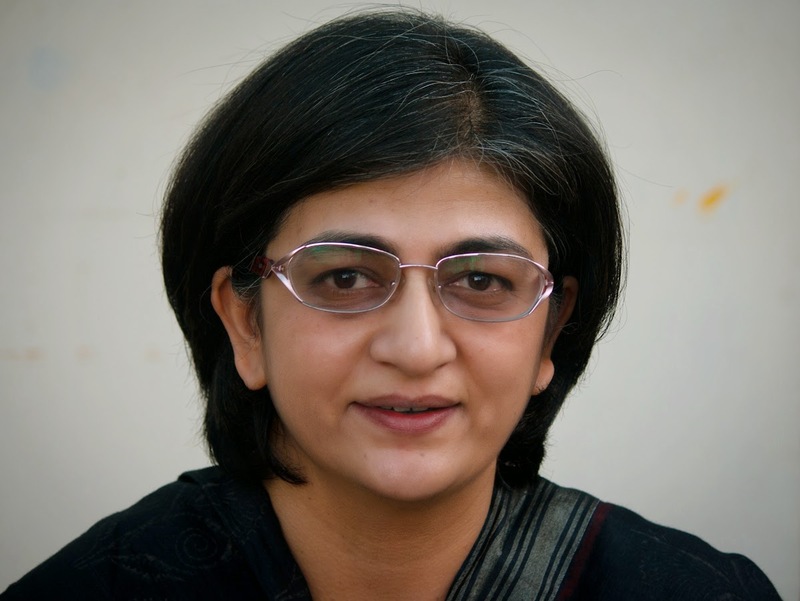 She lives in Greater Noida, on the outskirts of New Delhi, India, with her writer husband. She loves to connect with readers and writers.